What was the function of the figurines? Were they sacrificial objects? The figurines at Harappa have been studied in depth by Sharri Clark. In her new book, The Social Life of Figurines, she describes the many ways in which they could have been used, but I don”t think she mentions sacrifice. Nobody knows. There is no evidence that they were used in sacrifices. 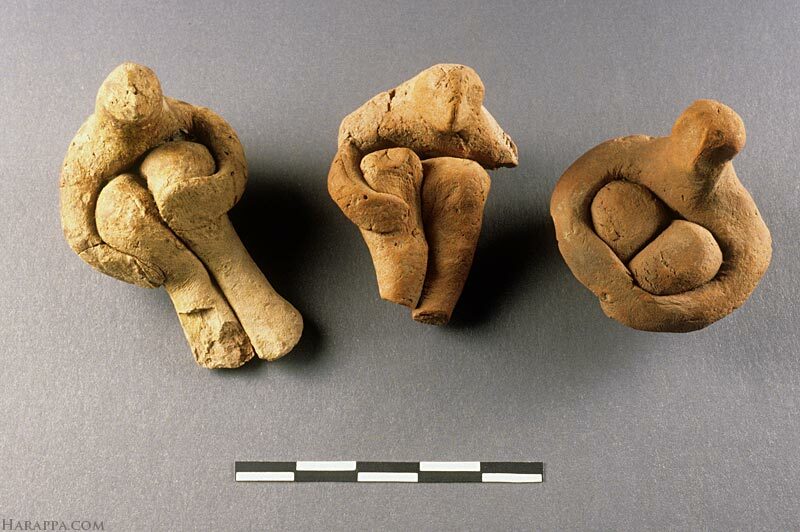 Above: Three seated male figurines from Harappa.